This blog addresses an important issue. Let’s keep the dialogue open on depression and suicide. If we talk about it, the stigma may slowly change. 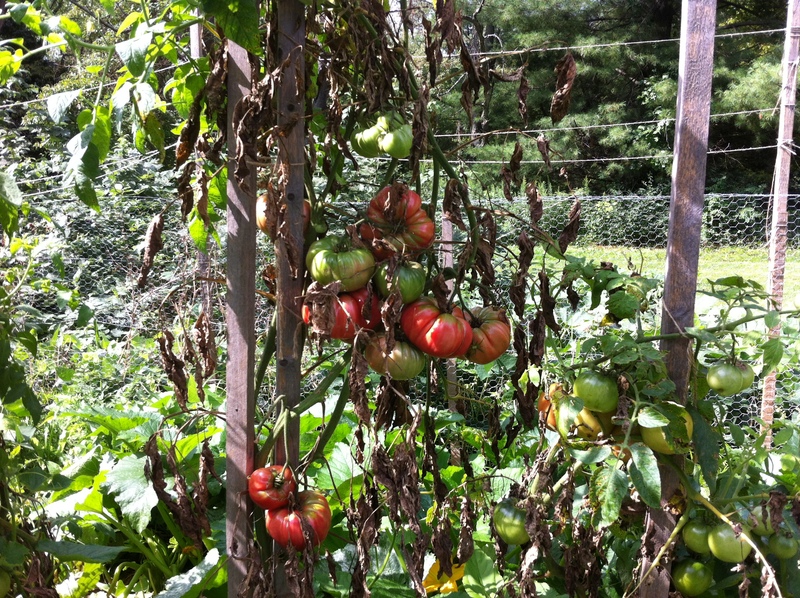 It’s been a very bountiful year for our tomatoes. They are the biggest my hubby has ever produced, and they are still coming although the leaves are telling us that the season is about to end. I put up ten quarts of Italian sauce two weeks ago. We’ve given away dozens of tomatoes. I have seven bags of frozen whole tomatoes for the winter. This weekend we plan on doing eight to ten pints of salsa. This morning I walked outside to visit the dahlias and marigolds and sunflowers in full bloom and full of bees and now butterflies. We planted milkweed there in the spring, but only one of the plants has survived, but with no flowers. We planted it in hopes of helping the monarch butterfly that depends on these plants to fuel them enough to fly to Mexico each winter. 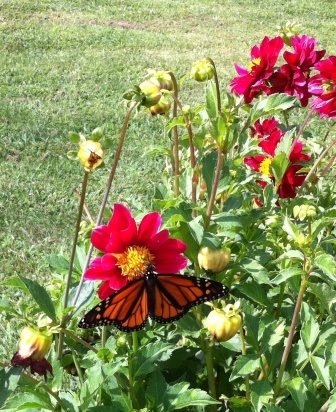 Much to my delight and surprise, among the many butterflies feasting on the flowers, sat a monarch on a red dahlia. The final weeks of summer bring their own bittersweet shots of beauty. I treasure these days. A few trees are turning orange but the weather is still hot and sunny. I hope your summer has been bountiful and fruitful whatever you’ve done, eaten, or planted! 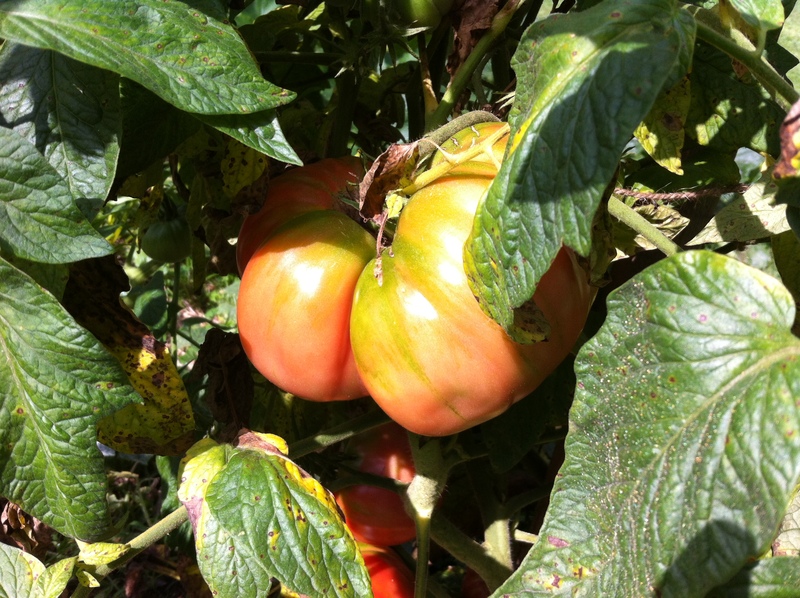 Recipes for preserving tomatoes can be found in From Seed to Table. I named this blog “Living Lightly” because that is my intention every single day of my life–to live lightly. I didn’t start out with the lightest of hearts. I’ve had to travel down many roads to arrive where I am today. Perhaps the most traveled decade of my life occurred from 2000-2010 on a physical, mental, and spiritual level. During that decade of falling down, standing up, falling down, and standing up once again, I wrote. I finally took all those writings–from my columns, blog posts, and journal writings–and put them together in my new book, Odyssey to Myself. The book is available in paperback and on Kindle. Odyssey to Myself is a world travel guide for trips to Morocco, Italy, Panama, Chile, and down Route 66 in the United States. The compilation of essays show Muslim women dressed in hijabs and working in Casablanca. Moroccan history and food provide a colorful backdrop as the author explores her place in the world. Take a trip to Casablanca, Marrakech, Tuscany, Bocas del Toro, and Santiago as P.C. Zick writes about her experiences traveling outside the confines of her small world. Observations about life and culture bring to life the sights, sounds, and smells of the ancient alleyways of Fes, the masters of Italy, and the strategic location of Panama. The people of Morocco, Italy, Panama, and Chile come to life through the experiences of the author as she absorbs the cultures so different from her own. “Traveling removes us from our small safe environment and thrusts out into the world. When I travel, I realize what a tiny ripple my life is in the ocean’s constant waves. A few months ago, I had to endure a full body MRI that lasted more than two hours. I almost swooned when the nurse told me how long I’d be in that long encompassing tunnel. She recommended I remain awake because if I moved after falling asleep, they’d have to pull me out and begin again. I did not want that to happen. My brain fought against any touch of claustrophobia as they closed me in the tube and sent me inside the machine. I frantically searched through the files in my brain. With a little prayer for help, I went into the tube and decided to travel in my memories back to the most important trips of my life. The first trip I remembered was my visit to Morocco in 2004. I knew it was a watershed year as many things had been happening in my life, and I went on the trip to heal and find direction. I began with my arrival in Casablanca in the early morning hours after flying all night from New York City. It came back so vividly I could even smell and feel the air of my travels during a magical two weeks. Then I started on Italy from 2005, where my daughter and I went for a month to celebrate her graduation from college. I’d only gotten through the first two days when I heard a voice say they were pulling me out of the tunnel. I cursed silently, thinking I must have moved as I remembered walking the streets of Milan and marveling at all the beautiful shoes. Each year before I began teaching poetry to my tenth grade students, I started with the movie Dead Poet’s Society. Sometimes I worried about showing it because one of the main characters commits suicide, but I thought the overall message was an important one. It always created a little more excitement in sixteen-year-old males to begin studying Frost and Whitman. The scene I pulled from YouTube is one of my favorites. One of my most cherished items from those years of teaching is a large card my students made and signed for me. They gave it to me on my last day of teaching. One of the students wrote, “What more can be said than, ‘Oh Captain, My Captain. '” I still cry when I read it, and I always cried when the students jumped up on their desks at the end of the movie. Thank you, Robin Williams. Thank you. You brought us to tears from either your sensitive portrayals of a teacher, a father, or a doctor. And you brought us to our knees in laughter with your incessant antics and monologues that often made little sense. Suicide. You hung yourself in your home. You poor poor man. Ironically, this past week we found out our neighbor killed himself last year. We’d been traveling and sick this past year so we didn’t keep up much with our immediate surroundings. We knew his house was for sale, but we figured he’d moved nearer his job. But no, while we were in Florida last year, he left his father and young son and went into his bedroom and killed himself. The man next door who told me said there’d been financial troubles. Thank you, John, for being a loving father, but your young son who you loved so much will never forget that night. You were such a nice friendly man and when you came over to our house with your son, you showed him kindness and consideration. Suicide. You shot yourself in the head. You poor poor man. I’m not unfamiliar with suicide. It’s hit my own family. My brother Don, a successful statistician yet unsuccessful in relationships, wrote a suicide note and sat down in his recliner and left us at the age of fifty-eight. Much too young. 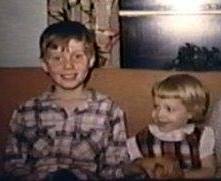 Thank you, Don, for being my big brother. I looked up to you in all things as a child. We shared the same dismal childhood, but you never could break out of the prison of yours. I couldn’t help you. I’ll never forget you and how we ate our dinner in the back end of our new Plymouth station wagon one summer night. You were my hero. Suicide. You took an overdoes of pills. You poor poor man. My husband who’s never suffered a day of depression in his life asked me how Robin/John/Don could have done what they did. Didn’t Robin have enough fans? Didn’t John think about his son? Didn’t Don know someone loved him in the world? My answer to him is simple. It doesn’t matter what they had, who they were, how much they’d achieved, where they were. Nothing mattered except their need to leave. It overpowered everything else. Could I have done something to save my brother? I don’t know. Robin’s wife was in the house the night before he died, and John’s estranged wife allowed their son to spend the weekend with him. Perhaps in those final moments and hours, there was nothing that could have been done. The decision was made and the determination set. Obviously, in none of the three cases I’ve cited did it happen suddenly. Perhaps if depression was something we acknowledged as a real disease as we’re beginning to do with alcoholism and drug abuse, there would have been real help for these three men who’ve touched my life. I left teaching in 2000 because one of my students attempted suicide in a big way. He took a mega dose of Tylenol and drank a bottle of vodka. He was nearly dead–and would have been in an hour–when his mother came home from work unexpectedly and found him unconscious. The week before, I knew this young man was in trouble. He was lashing out at everyone–myself included–and when I consulted with his guidance counselor, I was informed he was fine. I remember the counselor coming to my classroom and pulling me away from teaching to tell me the young man just wanted attention. He wasn’t depressed at all, he told me. Thankfully, he recovered and so did his nearly destroyed liver. And the guidance counselor continued guiding students, but not discussing depression. Let’s make an effort to change that. I’m not immune to depression. I’ve been in the depths without hope. The worst thing said to me was, “I don’t understand–you have so much to live for. 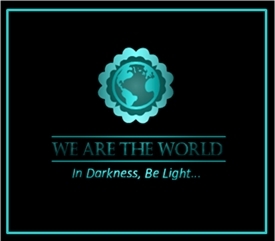 How in the world could you be depressed?” Would we ever say that to a cancer patient? 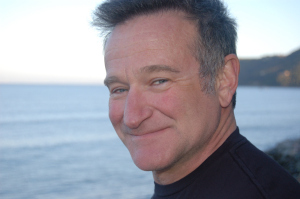 We can’t change the past, but we have an opportunity now to take the very public suicide of Robin Williams and recognize it for what it is and open our hearts and arms to those who suffer from depression. Thank you, boys. Thank you.